More than one in three Greeks is at risk of poverty and isolation, while the country shows the highest unemployment rate in the EU, according to the European Commission. The figures are based on a European Commission report on labor rights in the euro zone for 2015, showing that 35.7% of the population are at risk of p-overty and social exclusion. 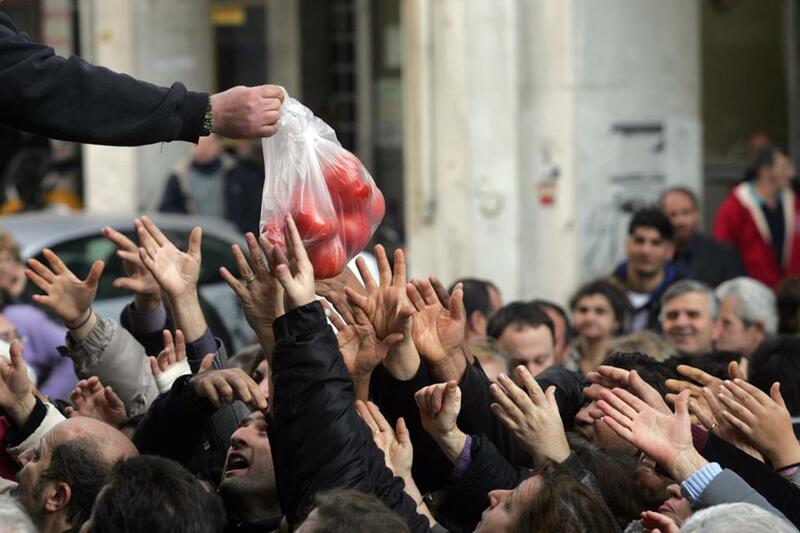 Greece also comes first in the percentage of people experiencing serious deprivation, as more than one in five (22.2%) are deprived of goods and services. The only two EU countries that are worse off than Greece in these two areas are two members of the former Eastern Bloc, Bulgaria and Romania. The European Commission figures also reveal the weaknesses of the Greek welfare state, as Greece comes last in social benefits on combating poverty. Social spending in Greece – excluding pensions — is estimated at just 4.1% of GDP, while the euro zone average in 2015 was more than double (8.5%). The failure to cope with poverty comes despite the fact that Greece has spent more money on social protection programs than 14 other euro zone member states, such as Germany, the Netherlands and Luxembourg. According to the European Commission, in 2015 the Greek general government’s expenditure on social protection was equivalent to 20.5% of GDP, while the average in the eurozone was 20.1%. The gaps in the welfare state extend to Health, with 12.3% of the population declaring that they did not receive the medical care they needed. This is the second worst performance in the euro zone. The only euro member that recorded the worst rate was Estonia, with 12.7%. Finally, Greece is one of the countries facing the most serious problems of income inequality in the monetary union. Typically, the richest 20% of the population had incomes six and a half times more than the poorer 20%. A larger gap in income distribution within the euro area was recorded only in Lithuania (7.5 times) and in Spain (6.9 times). Greece has for years been the country with the highest unemployment and youth unemployment rates across the European Union.